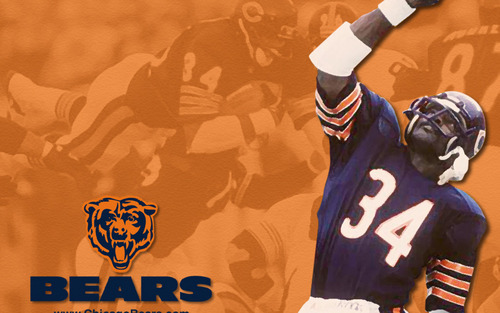 Walter Peyton - Chicago Bears. . HD Wallpaper and background images in the NFL club tagged: logo nfl legend walter peyton chicago bears. DUDE! WALTER "OVER THE TOP" PEYTON WAS THE MAN! I LOVE HIM! though not as much as i love Devon Hester! He's the chicago gingerbread man!